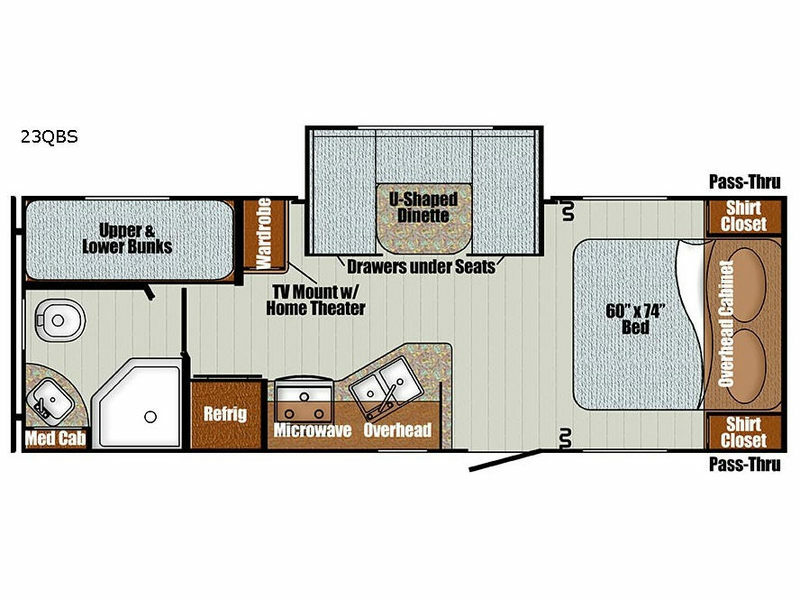 Spacious interior, check...bunk beds, check...U-shaped dinette slide out, check....LED lighting, skylight over the shower, pass-through storage, check, check, check! This bunk model has exactly what you need and a little bit more. 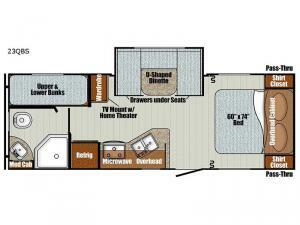 You will love having your own queen bed with a privacy curtain, USB ports for all of your electronics, a stainless hi-access faucet and handles in the kitchen, a solar-ready access plug, plus much more and even options to choose from. Step inside!